Lexus makes some interesting vehicles. Lexus, as a whole, is a confusing automaker. The Japanese marque has done a lot recently to hide the fact that its cars are just luxurious versions of Toyota’s lineup, but still has a long way to go to make enthusiasts forget about the Germans. There’s one vehicle, however, that helps change the automaker’s image, while another has us thinking that Lexus will never change its ways. It’s hard to believe these two vehicles have the same badge, as they couldn’t be further apart. There’s nothing wrong with the Toyota Prius unless, that is, you enjoy driving, having a car that looks relatively good and isn’t a threat to everything you’ve ever loved. From this perspective, it’s easy to see how the Prius is one of the best-selling hybrids of all time. It makes sense, then, that Lexus would want to have a luxurious version of the Prius in its lineup. This is where Lexus’ worst car comes into play in the form of the CT200h. The CT200h has the same exact powertrain as the Prius, which makes it very fuel efficient, but only benefits from different styling and interior features. Even more interestingly, Lexus sells the CT200h as a F Sport variant that makes the hybrid "sportier." We’re not sure what Lexus was thinking by offering the CT200h F Sport, but we’re sure no enthusiast wants a better-looking Prius with "sporty" handling. The CT200h may look sporty, but the hybrid’s 1.8-liter four-cylinder gas engine and two AC permanent-magnet electric motors only puts out a total of 134 hp. This means the CT200h will lose a race against an SUV or a minivan as it takes 10.6 seconds to get to 60 mph. The best part of the hybrid is its interior, but after seeing the car’s starting price tag of $39,030, it’s easy to see why Car and Driver rated the car at 2 out of 5 stars. At the other end of the spectrum is Lexus’ attempt at a high-performance sports car. 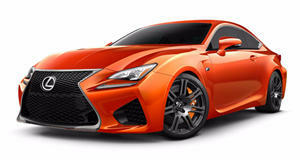 When comparing the RC F against the incredible LFA, it looks like an utter failure. But then again, comparing other supercars to the LFA is often a lost cause. However, when comparing the RC F to vehicles in its price range, there’s a lot to like about it. While the sports car’s styling won’t be to everyone’s liking, it’s a step up for Lexus and hard to miss. The RC F’s sharp lines and massive grille might turn an enthusiast away, but the 5.0-liter V8 that puts out 467 hp is a true delight. 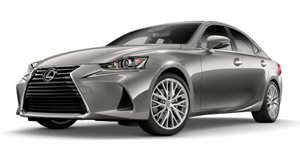 At a time when BMW and Mercedes-AMG are looking towards turbochargers, Lexus finds a way to make it work. Sure, the BMW M4 is a better car to drive on the track and at the limit, but some enthusiasts aren’t interested in that. The majority of people will never take their car to the track or even get close to the "limit," which is where the RC F comes into its own. Use the heavy, luxurious sports car on the road, and the RC F will reward you with its muscle-car-like personality and high-tech interior. A solid 4 out of 5 stars from Car and Driver makes the RC F a great choice for the majority of drivers and proves that Lexus can make a decent German fighter when it puts its mind to it, even with cars like the CT200h in its lineup.